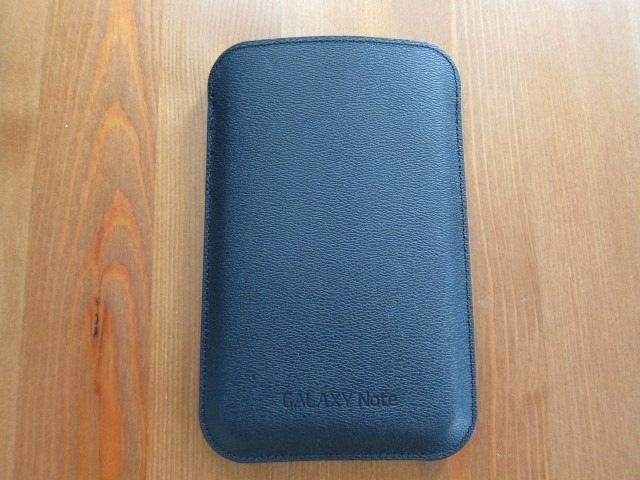 Continuing our Galaxy Note Accessory review series, we take a look at not just one, but two accessories: the Flip Cover and the Leather Pouch case for the Galaxy Note. Which one do we prefer? You’ll need to read this two-in-one review or scroll down to the conclusion. 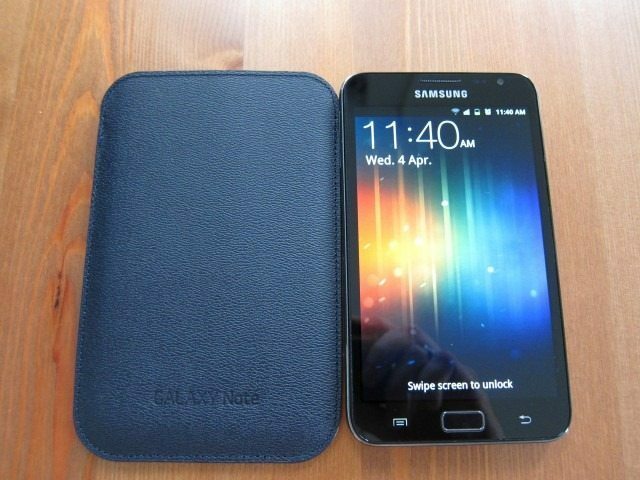 The first part of our Galaxy Note Accessory series can be found right here. 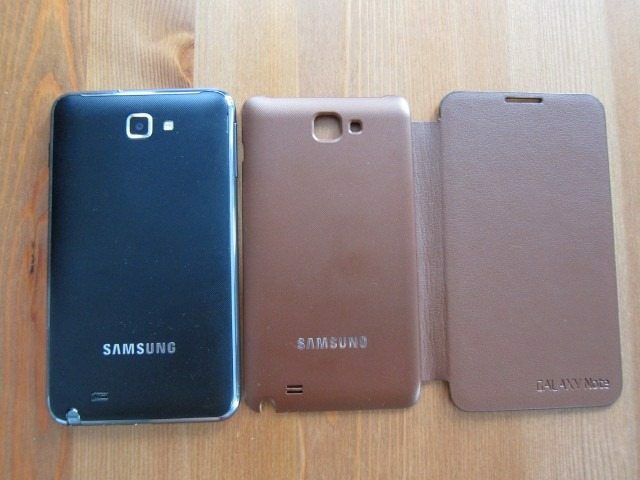 Samsung created 3 cases for the Galaxy Note: A vertical pouch case, a horizontal pouch case and a flip cover. 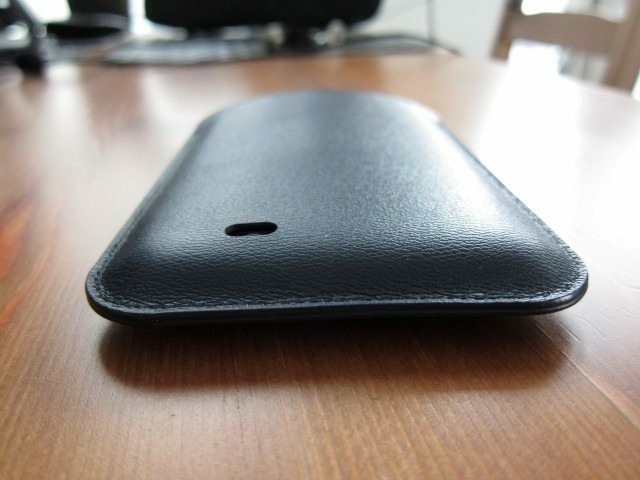 We’ll leave the horizontal pouch case for an upcoming review and focus on the vertical pouch case and the flip cover. Let’s start with the latter. The Flip Cover EFC-1E1 comes in 5 colors: Blue, Brown, Orange, White and if standing out is high on your priority, a very flashy Black faux Snake skin finish. 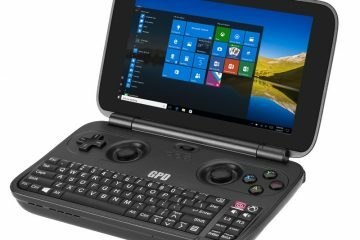 As the name implies, the EFC-1E1 isn’t a case, but more of a cover. It consists of two parts: a replacement battery cover and an attached flap that covers the screen. The replacement battery cover looks almost exactly like the original battery cover, except for a few small changes. At first sight they seem exactly the same: same textured finish, same speaker grille and even the exact same Samsung logo is there. Taking a closer looks reveals that it’s slightly raised, making it a hair thicker than the original one. You really have to look very close to spot the extra thickness and isn’t something you’d even notice during with daily use. The extra thickness was done to accommodate the flap that’s actually sandwiched between two layers of plastic. The flap rests on the cover, while an extra layer of plastic was then molded on top. This means that the flap is not attached to the cover, but actually molded into the cover itself. This method ensures that the flap is very securely attached to the cover and shouldn’t come off easily. During daily use, the extra millimeters in thickness aren’t noticeable. One benefit from the extra thickness is that camera lens and LED light sit deeper in the case adding extra protection and making it more difficult to get scratched. With the original battery cover they are fully exposed sitting at the same height as with the rest of the battery cover. As a result, when you put Note on a flat surface it actually rests on the camera module. As you pick it up or put it down it’s slightly dragged across the surfaced where it’s even more likely to get scratched. With this case, the lens is still out in the open, but at least sits much deeper which should more difficult to get scratched. On the other hand, the S Pen now also sits a bit deeper into the case, which does make it a tiny bit more difficult to get out. It’s not a huge difference, but it does mean that you’ll need to dig a bit deeper with your nails to get it out. The flap is attached to the battery cover by a flexible extension that allows it to easily be opened or folded behind the phone. 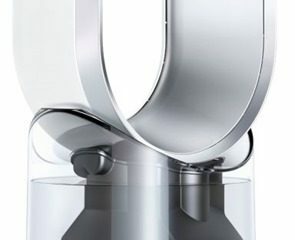 This part seems to have been designed with bending in mind as there is no peeling of the material or color, despite a month of heavy usage. Usually with these types of covers the colors, the paint and material quickly starts to crack, peel or simply break. 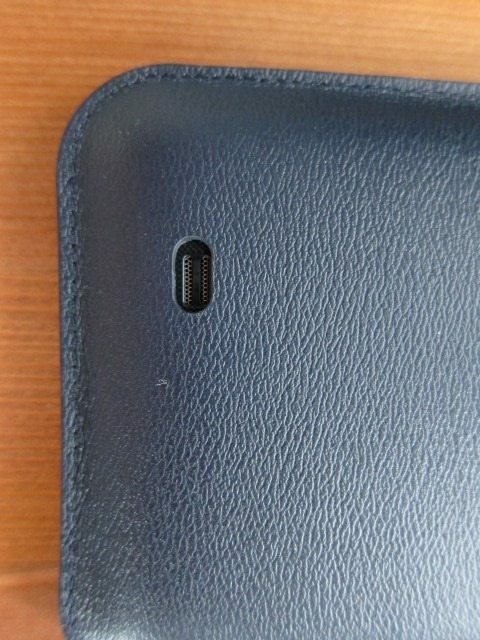 The extension on the flip cover case still looks as good as new and in fact due to the bending of the material, it created some extra crinkles that seems to add to the illusion of leather. 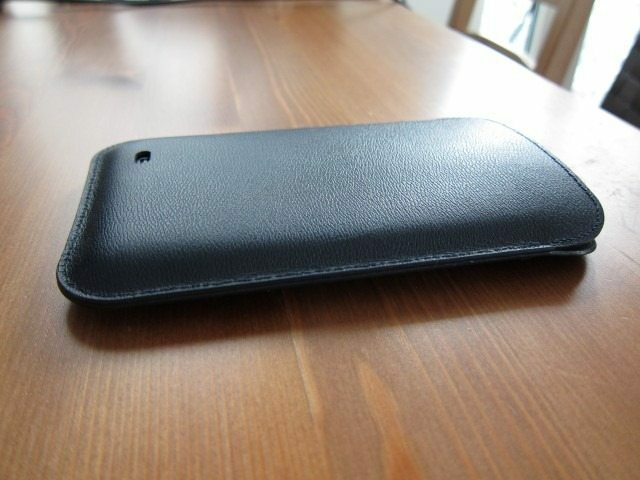 The flap itself is made out of a plastic and the texture on the front is designed to look like leather. 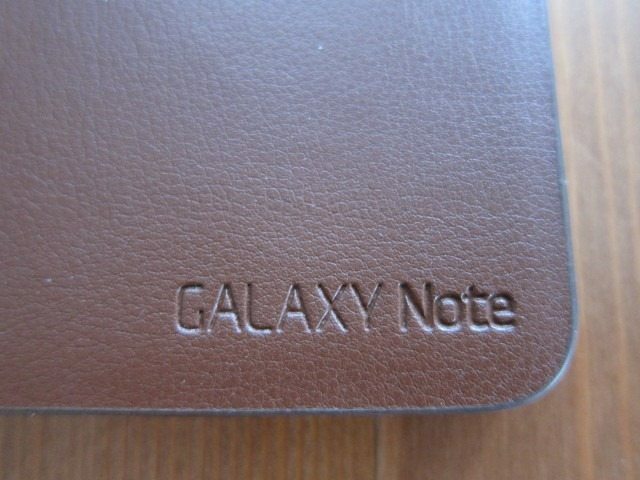 The “Galaxy Note” logo on the front of the case is a nice details, while an opening on the top ensures that the earpiece isn’t covered, making calls with the flap in front of the screen possible. The inside of the flap has a microfibre lining, which as it slightly rubs against the screen cleans it a bit. You put the cover on just like you would with the standard battery cover and once you do, you’re treated it with one stunningly classy cover. It simply is one of the best looking cover/case I’ve seen in years striking a balance between luxury and simplicity. 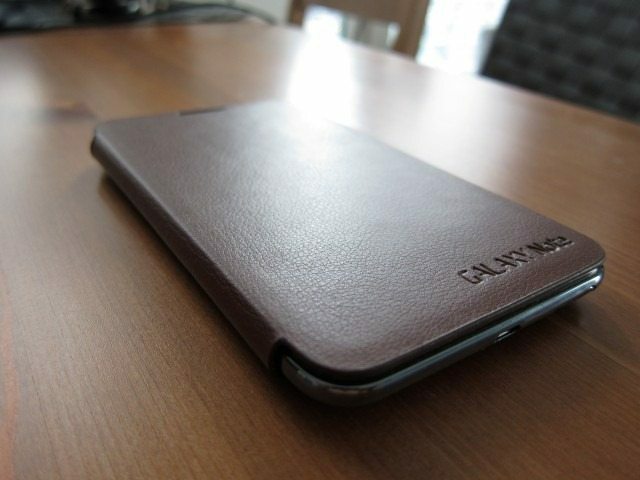 This is especially the case with the Brown version, which together with the size of the Note, make for one luxuries and imposing looking device. I don’t it’s the same with the other colors, except for maybe the White version. The Note already is and looks like a very expensive device, but by adding this cover you’re stepping into a different territory that’s looks more like a luxury item than just your standard GSM phone. If design and the aesthetics are important on your list, this probably is the one to get. 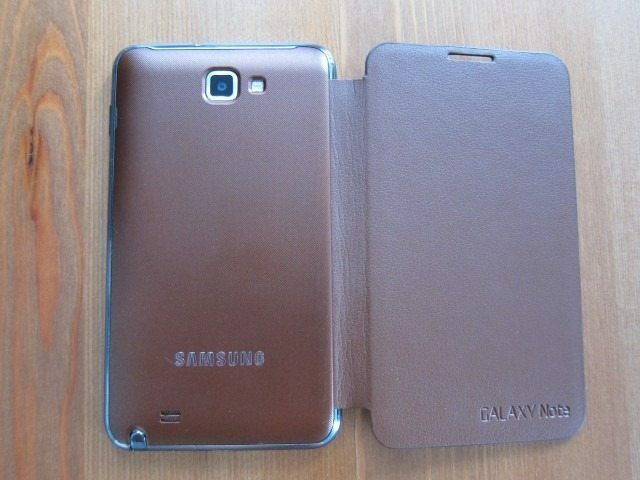 You could in fact buy this cover in different colors and it completely changes the look and feel of the Note. 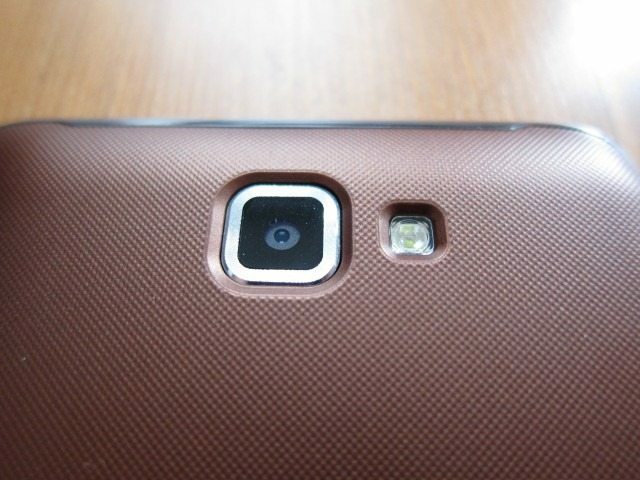 With the brown cover it essentially felt like a new phone and certainly more upscale. The cover not only looks good, but also does a good job of protecting the screen. However it lacks in one key area, simply failing to provide any protection for the metal rim. 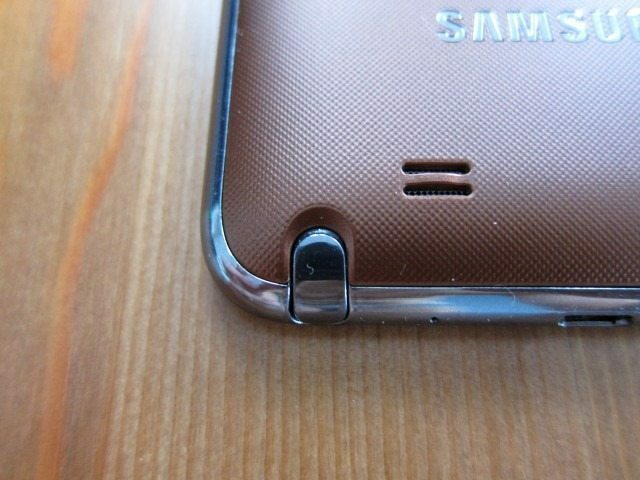 When I had Galaxy S II it took a nasty fall creating a deep dent into the metal rim, which is similar to the one found on the Note. With this cover on, the screen would surely be protected, but the fragile metal rim won’t. The back cover isn’t a problem here as it’s just a matter of taking it off and getting a new cover. Getting the metal rim damaged however, probably means one very expensive repair which in most cases requires replacing the entire screen! In the case’s defense I can say that due to the flap, you’re more like to use the Note with two hands and add the fact that the material used on the case add grip, you’re less likely to drop it. With this case you do get lots and lots of attention. The Galaxy Note is already quite the attention grabber, but add this case and you literally have a portable show. People were not only commenting about the size of the phone, but also how beautiful the case looked. There is a price to pay for the design: sometimes the flap just gets in the way. You can take calls without ever opening the flap by activating the Note’s automatic answering function, but obviously almost all functions do require an open cover. This means either you’ll be holding it like a book or simply fold the flap behind the phone, which is what I almost always end up doing. By doing this, it makes the entire device feel bulky and less comfortable to use. There’s simply nothing you can do about this on these flap-based designs, but for some it can get annoying very quickly. Another negative point is that you can’t use the case with the Desktop Dock. Aesthetically speaking, this is one beautiful cover, but if you drop your Note, just pray that it doesn’t land on the metal rim. The EFC-1E1LBECSTD is a vertical pouch type case where you slide the Note in from the top. While it looks like Black, it’s actually dark Blue. This perfectly matches the Note, which itself doesn’t come in Black, but a very dark shade of Blue. As far as I know this is the only color it’s available in, so for now you can forget about that matching White Leather Pouch Case. They claim it’s genuine leather, but I have my doubts and willing to bet it’s not. This Case has to accommodate the biggest phone currently available, while also leaving some extra space to be able to get the Note out. As a result, this is one large case reminding me of the blade on a paddle. Unlike the attention grabbing Flip Cover, its design pretty simple. 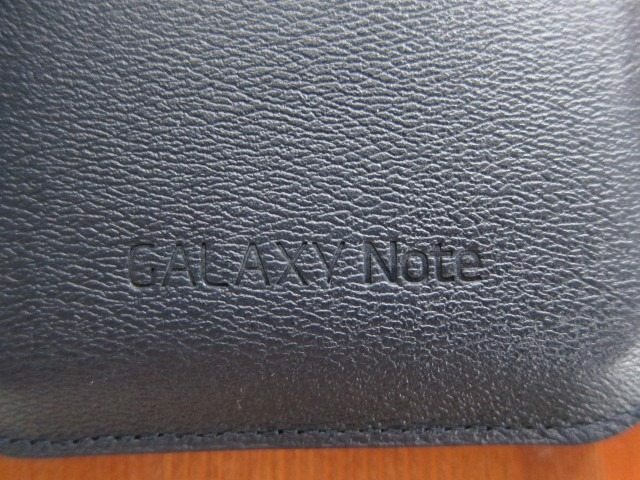 The Leather Pouch case also has the Galaxy Note logo, while there’s an opening on the back for the speaker. 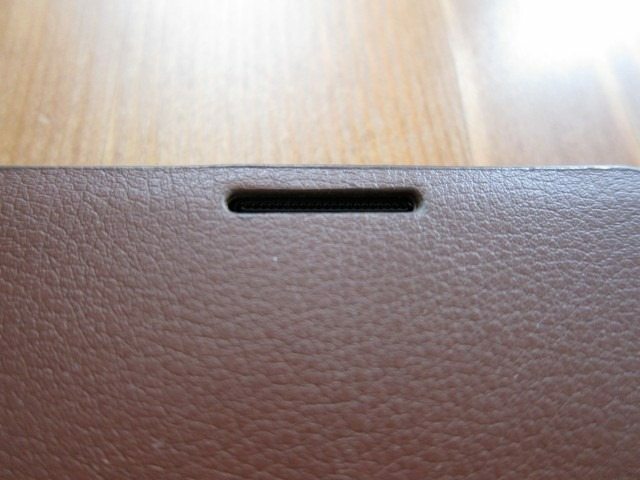 The inside also has a microfibre lining, which should clean the screen when you slide the Note in. 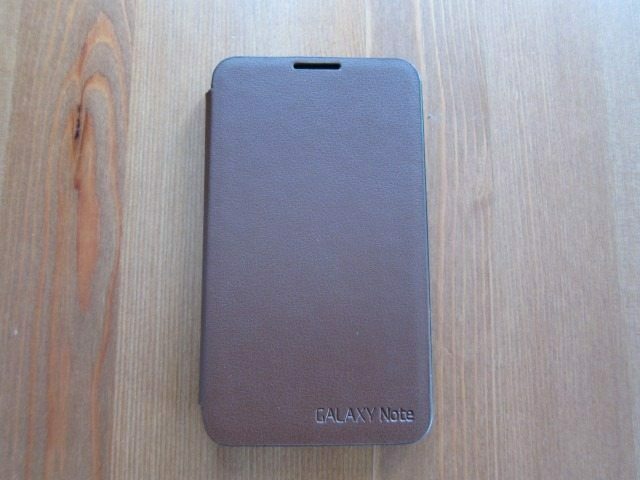 The case itself exudes quality and due to its dark color doesn’t attract attention, even for something of this size. The case is also constructed in a way that the edges are of a very hard material and there’s some space between the edges and the Note. When you push against the edges, the case expands and opens. All of this means that when you drop the case, it not only protects the screen and the rest of the body, but the construction of the case seems to be able to dissipate the impact energy which should help protect the Note even more. Unlike the cover, you can just simply take out the Note and put it in the dock. This means that if you’re planning on getting the dock, I would recommend the pouch case. After using the two for about a month, I found myself using the flip cover 9 out 10 times. It simply looks amazing and is a lot more practical. In the end what made a huge difference and what made me choose the flip cover is the fact that I don’t have to constantly have to take the Note out which is the case with the Pouch. The flap does get in the way sometimes, but I can easily fold it behind the Note and use it single handed, which can’t be said for the leather pouch. With the pouch, getting the Note out requires two hand. You also need two hand once the Note is out: one to hold the pouch in one hand and the Note in the other hand. 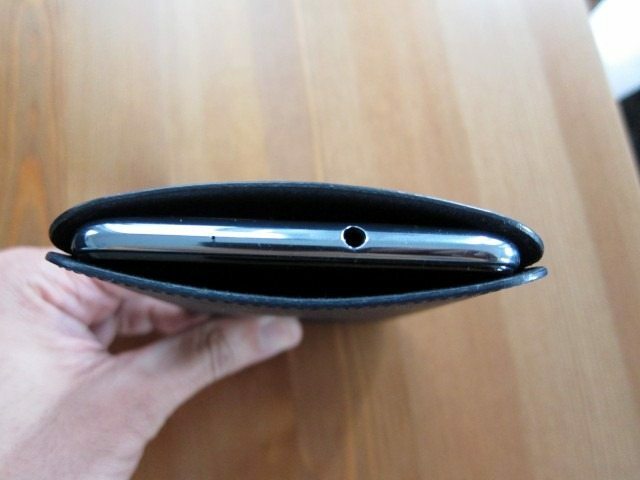 The leather pouch provides a lot more protection, but due to the larger size of the Note, you simply handle it differently which forces you to be more careful. That’s why you’re also less likely to drop it when compared to smaller phones. 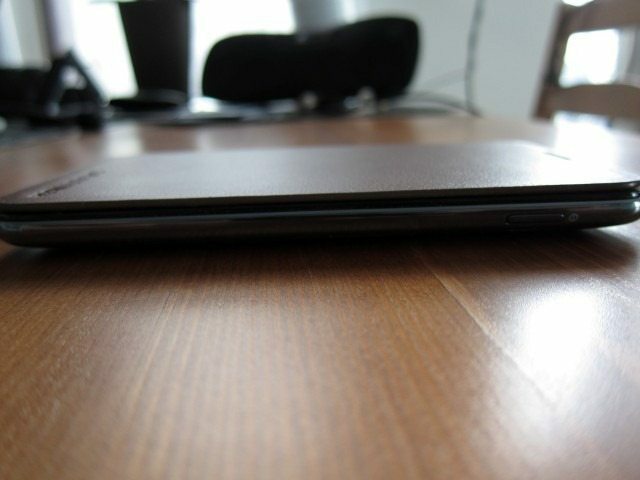 The same can be said for tablets, as the device gets larger, you’re more careful and less likely to drop it. Which is why I’m more inclined to choose the cover. The flip cover simply looks good, is more practical and turns a lot of heads. Only if you’re likely to drop your phone, I would recommend the leather pouch. The Flip Cover gets an 8 out 10, while the Leather Pouch gets a 6.9 out of 10. A special thanks to our friends at Mobilefun. You can find more mobile phone covers and phone cases on their website. This is a great review of 2 great looking cases. Would love to throw our custom build-to-order cases into the mix for review! http://www.storyleather.com/smart-phone-cases/custom-made-phone-cases/flip.html.